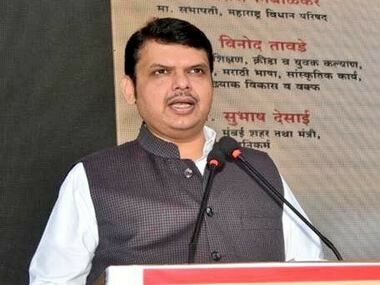 Mumbai: The Maharashtra government will table in the state Assembly the 'action taken report' (ATR) on the State Backward Class Commission's recommendations for Maratha quota, before introducing a bill to make a provision for the reservation, Chief Minister Devendra Fadnavis said on Tuesday. The government is committed to providing quota to the Maratha community in jobs and education, he asserted while speaking in the Assembly. As per rules under which the State Backward Class Commission has been set up, only the ATR on its recommendations is tabled in the House, he said. This is the 52nd report of the commission and the earlier 51 reports were not tabled in the Legislature, he added. "My government is committed to providing reservation to the Maratha community under the Socially and Educationally Backward Community (SEBC) category over and above the existing 52 percent reservation in the state," Fadnavis said. He alleged that the Opposition's intention in seeking the commission's report to be made public was to create "division" among communities in society. He said the report of Tata Institute of social sciences (TISS) on reservation to the Dhangar (shepherd) reservation was being studied. "We will also table the ATR of this report. The reservations of the Scheduled Tribes (STs) will be protected. The recommendations of the TISS report will be sent to the Centre and reservation would be given without hurting the existing quota for STs," he said. 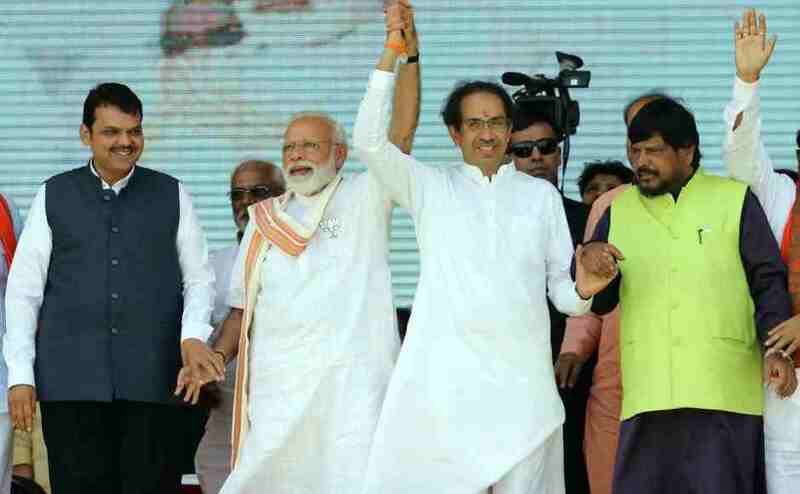 Criticising the Congress and the Nationalist Congress Party (NCP) over the issue of quota for Muslims, Fadnavis accused them of trying to mislead the minority community. "52 backward castes among Muslims were given reservation by the previous Shiv Sena-BJP state government (in 90s). To give reservation, the castes need to be declared as backward first. Those demanding quota should first approach the State Backward Class Commission, and the commission's report will be binding on the government," he said. "Our government is providing educational benefits to the backward communities among Muslims. For Congress and NCP, Muslims are just a vote bank and they never cared for their well-being," he charged. 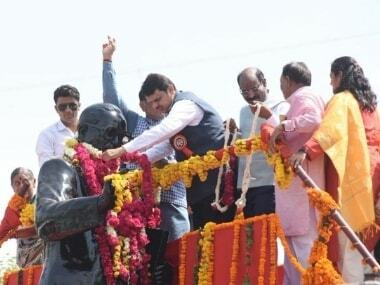 Accusing the opposition of indulging in politics, Fadnavis said he can give a political response to such acts. The Opposition members objected to the chief minister's reply and the House had to be adjourned for 10 minutes amid uproarious scenes. Notably, Revenue Minister Chandrakant Patil, who heads the Cabinet sub-committee on the Maratha quota issue, had told reporters on Monday that the government will introduce a bill on Thursday to provide reservation to Marathas under the Socially and Educationally Backward Class (SEBC) category before the end of the Legislature's winter session. The state Legislature's winter session concludes on Friday. After the House reassembled, Leader of Opposition Radhakrishna Vikhe Patil accused the chief minister of misleading the House. The Opposition members squatted in the well of the House and shouted slogans in support of their demand that reports recommending quotas for Maratha and Dhangars be tabled in the Legislature and five percent reservation in education to Muslims be restored. Vikhe Patil said the earlier 51 reports of the State Backward Class Commission were not tabled in the Legislature since no demand was made for it. Amid the din, some supplementary demands and nine bills, including amendment to the APMC Act and the GST Act, were passed by voice vote. Earlier, when the House reassembled at 12.15 pm after the first two adjournments, Vikhe Patil demanded tabling of reports recommending reservation for the Maratha and Dhangar communities and restoring quota for Muslims in education. "Fadnavis has asked people to rejoice on 1 December. We need to know the recommendations and what is mentioned in the report. Why is the government's stand ambiguous? This is an insult to the Maratha community," he said. NCP leader Ajit Pawar said people want to know what is mentioned in the commission's report. 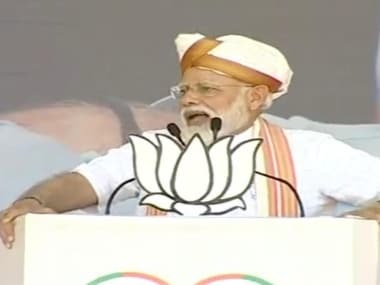 The situation prevailing now is different from when the previous 51 reports of the Backward Class Commission were prepared, he said. The Opposition members later staged a walkout and the House took up a discussion on the drought situation in the state. The Maratha community, which constitutes over 30 percent of the state's population, has been demanding quota for a long time and its agitation for the same in July and August this year had taken a violent turn.